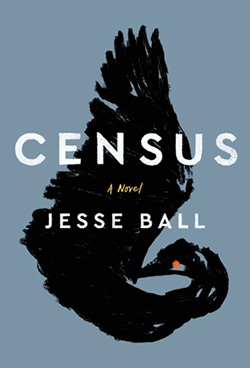 Unusually for a novel, Jesse Ball’s new book, his eighth, has an introduction in which he explains how it is based on his deceased 24-year-old brother. ‘I feel, that people with Down’s syndrome are not really understood. What is in my heart when I consider him and his life is something so tremendous, so full of light, that I thought I must write a book that helps people to see what it is like,’ he says. The story is somewhat strange. It is set in the future, in an unnamed country. A man who is dying is crossing this country collating a census with his son, who has a learning disability. Some people are happy to fill in the census while the majority are not keen and many are openly hostile. These encounters give the father an opportunity to ruminate on the varied reactions of strangers to his son. In fact, the father believes that the true nature of people is revealed in their treatment of the vulnerable. There is not a huge amount of fiction exploring learning disability, therefore I welcome this book, and the fact it has received universally good reviews means I am not the only one.